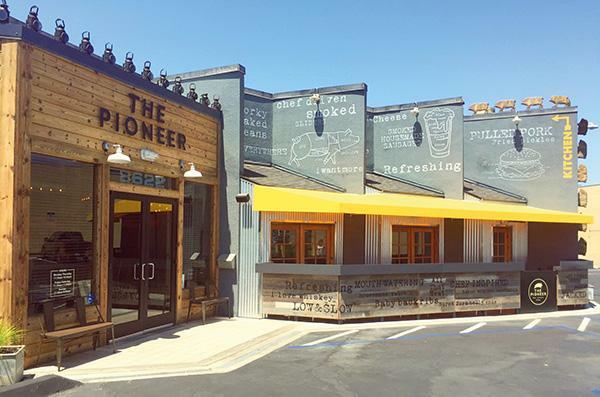 Chef and restaurateur Hanis Cavin of Carnitas Snack Shack is up and running with his latest venture, The Pioneer, a barbecue restaurant with a full bar located in San Carlos. 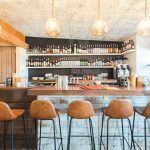 Cavin partnered with the Cohn Restaurant Group and chef Willie DePasquale of Moceri Produce for the project, which features a rustic-industrial tone created by local designer Philippe Beltran (BO-beau kitchen + cache, Tacos Libertad, and Draft Republic). 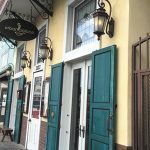 With its soft opening behind, lunch service was recently added to what started out as a dinner-only operation. The bill of fare throughout the day includes smoked meats such as dry-rubbed ribs, spicy cheddar sausage, pulled pork shoulder, and brisket. There are also BLT sandwiches using fried green tomatoes, short rib croquettes, burgers and more. 8622 Lake Murray Blvd., 619-825-7787, thepioneerbbq.com. 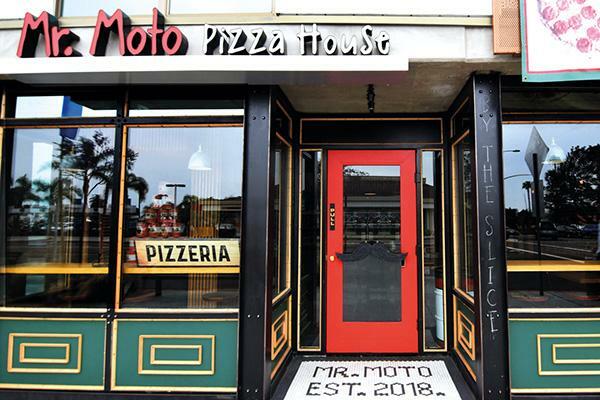 Mr. Moto Pizza House in North Park and Mission Beach has opened a new location in Point Loma. The business was established several years ago by pizza master Gibran Fernandez, who invented the fictional, mustached character “Mr. Moto” as his mascot. All three locations offer the same menu, which features scratch-made pizzas, some of them traditional, and others flaunting uncommon ingredients such as raspberry-chipotle sauce, sour cream, burrata cheese and garlic paste. Mr. Moto took the title of “best gourmet pizza in San Diego” at the 2016 inaugural Gourmet Pizza Fest in Liberty Station. 1166 Rosecrans St., Suite 102, 619-501-8488, mrmotopizza.com. 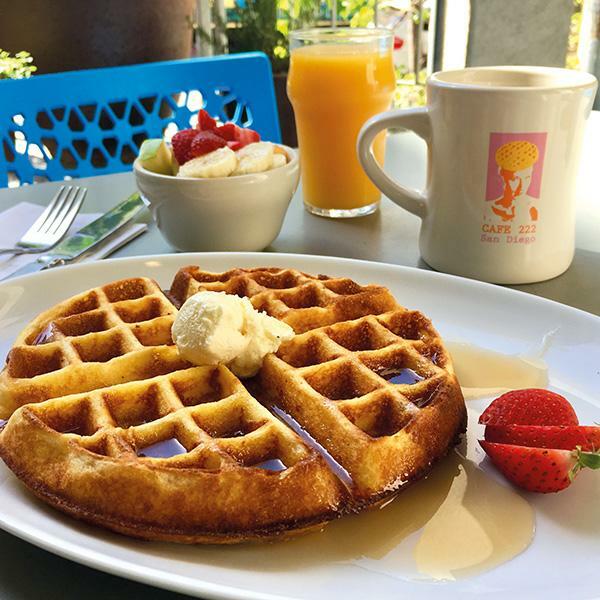 Everything’s coming up in twos at a popular Downtown eatery on Aug. 24 for National Waffle Day. 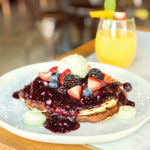 Restaurateur Terryl Gavre, who wore a waffle on her head in a stylish billboard photograph that appeared throughout town more than a decade ago, is celebrating the “food holiday” with her signature, “golden waffle.” It will be available that day for $2.22 at Cafe 222, the long-established eatery she owns at 222 Island Ave. in Downtown San Diego. The malted waffle normally sells for $9.50. 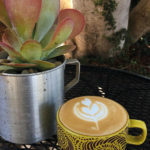 619-236-9902, cafe222.com. Craft House North Park recently took residency inside Rip Current Brewing, which last housed an offshoot of Sublime restaurant from San Marcos. 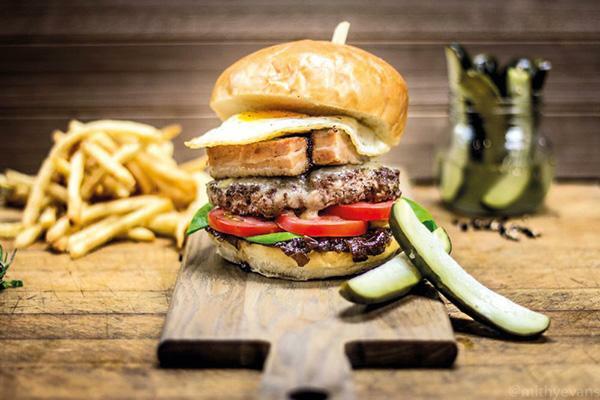 The new bill of fare, available at the brewery seven days a week, includes hormone-free burgers made of short rib, chuck and brisket. There are also hearty sandwiches, tacos, and assorted versions of mac n’ cheese. The Craft House kitchen is run by chef Caesar Huerta, who also owns Monster Crafts Food Truck. 4101 30th St., Suite C, 619-255-1151, monstercraftsfoodtruck.com. 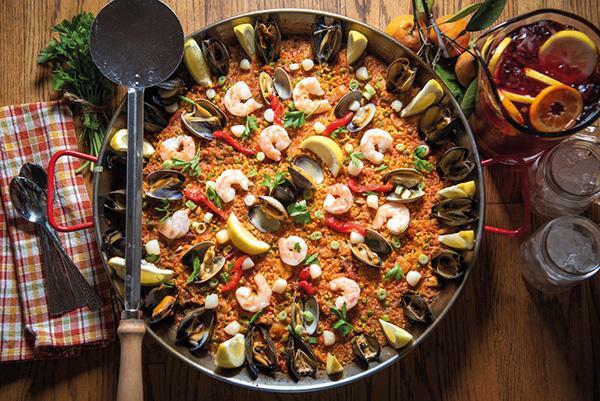 Spanish paella with California and Baja twists is the specialty of a new catering outfit based in Normal Heights called Matador Paella. The venture was launched by Bryan Taylor, a former Napa Valley winemaker, and business partner Matt Marcacci, who worked for a beverage distribution company. Both traveled throughout Spain learning to make paella before starting the business. 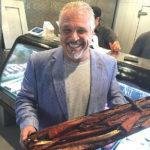 Matador caters to small and large parties as well as private and public events. It also sells paella every other Thursday at the Oceanside Farmers Market, and sporadically at Circle 9 Brewing in Kearny Mesa and New English Brewing in Sorrento Valley. 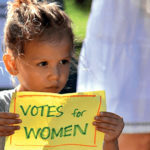 Check the website for the schedule of upcoming appearances. 619-564-7537, matadorpaella.com.